Originally built in 1575, architect Robert Adam was later commissioned in 1761 to transform the original Tudor mansion built on this site into an elegant 18th-century neoclassical villa. Osterley is the result: a country house for the founders of Child's Bank, created for entertainment and to impress friends and business associates. The superb interiors - one of Britain's most complete examples of Adam's work - contain some wonderful plasterworks, carpets, furniture and an interesting kitchen. The house, owned by the National Trust since 1949, is set in 140 acres of landscaped park and farmland complete with 18th-century gardens, ornamental lakes, pleasure grounds and neoclassical garden buildings. The magnificent 16th-century stable block survives largely intact. 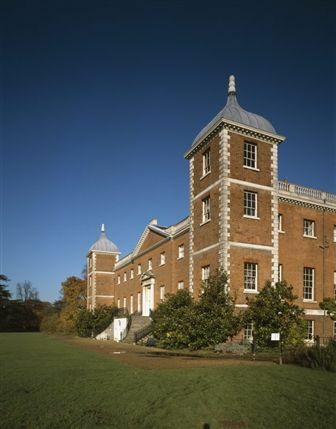 Osterley Park and House gyms, sporting activities, health & beauty and fitness. What are the best dining options near Osterley Park and House London? The best pubs near London Osterley Park and House. Osterley Park and House clubs, bars, cabaret nights, casinos and interesting nightlife. Where to have your meeting, conference, exhibition, private dining or training course near Osterley Park and House. From cheap budget places to stay to luxury 5 star suites see our special offers for Osterley Park and House hotels, including Holiday Inn London Brentford Lock from 86% off.